With its ODAPS2 power supply, four separate shielded chambers, and user-installable storage, the relatively affordable EX server marks the start of a new Antipodes range. When using the EX by itself, both server and renderer apps run on the same device. The EX enclosure has a similar build as the DX and consists of very thick aluminum panels screwed together very sturdily. Because there are no fans, the machine is whisper-quiet, nicely heavy and feels incredibly solid. 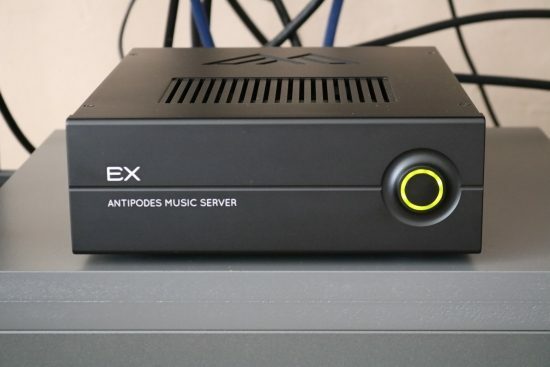 Interestingly, the EX is the Antipodes entry-level music server but at the same time, its rendering capabilities are considered to represent the company’s best solution! Although The EX works sublimely just by itself, it can also be teamed with the CX to form the top-tier CX-EX combination. In this configuration, the CX is a high power device running only the server app and the EX is a lower power, purist device, running only the renderer app. The EX has already started shipping and the CX will follow soon. At the time of writing, the EX has been received for review but not yet the CX. So, I’ll start with the EX and add a follow-up review when the CX has also been received. What you should know first and foremost is that all Antipodes servers can be set to function in various capacities, such as Roon Server, RoonReady renderer, Squeezebox (including UPnP server), MPD renderer and HQPlayer NAA. There is a lot more, and I mean A LOT more to write about the technical side of this server, but much of this is the same as for the DX or DS servers that I reviewed earlier. So, for a full description of all the technicalities and possibilities, and a wealth of screenshots, please refer to the earlier reviews. The most notable differences from the earlier DS and DX servers are that the EX uses user-installable storage, has a new ODAPS2 power supply, two, rather than one, Ethernet ports and no integrated CD ripper. The user can very easily install up to 4TB of HDD or up to 8TB of SSD storage, without having to open the enclosure. The drives simply click into place using rear panel slots. Antipodes are all about reducing noise, but only in manners that are not detrimental to the sound. The new ODAPS2 supply reduces high-frequency noise without resorting to filtering that would impede the speed of current delivery. Any USB ripper can be used, but Antipodes also have a separate external CD ripper in their portfolio, the P1, which has the same footprint as the EX. As mentioned, the EX has two Ethernet ports. One can be used to connect to the network and the second to provide a low-noise dedicated feed to an Ethernet DAC. According to the manufacturer, “Ethernet can introduce high levels of noise into the receiving device. The Direct Ethernet solution in Antipodes servers minimizes network ‘chatter’ on the link and creates a high bandwidth, phase accurate, low-noise direct link between the server and renderer. This provides a dramatic improvement over connecting your server and renderer devices through a noisy switch or over a long length of network cable”. I’ve put this to the test and indeed, the direct connection sounds considerably cleaner as well as freer than a connection via the existing network. When using Roon on the EX and streaming via Ethernet, the destination device must of course also support Roon. When using USB, any USB DAC will work. Alternatively, when using UPnP as part of the Squeezebox emulation, virtually all network endpoints are supported. This opens up a whole new can of worms, but the manufacturer has gone to great lengths on the Antipodes website to describe all the possibilities in detail, with easy to follow step by step solutions. 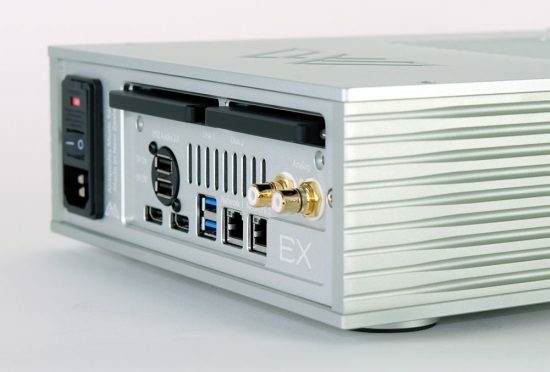 Just like with the earlier designs, the EX allows the user to run the server in several operational modes and several audio output modes, and they all result in a slightly different sound, allowing the tailoring of sound precisely as needed. While this may sound complicated, the excellent user interface makes it really very easy to change these settings. For the complete overview of modes and output settings, please check the earlier DX or DS reviews. In short: the EX when running Roon can use two output modes: Roon Ready or Core Direct. These are just two of the modes that can be selected using the Settings – Audio tab on the Roon user interface. Both output can be enabled at the same time and if you like you can enable many more but Antipodes states that it is best to activate as few outputs as you need for The best sound quality. For these tests, I enabled only Roon Ready and Core Direct. Once enabled, you can quickly switch between them using the Transfer Zone popup window. Contrary to earlier observations with the DS and the DX (and a very different audio system), of these two modes, Core Direct sounds more free-flowing and relaxed and Roon Ready tighter and more articulate. This difference really is a matter of taste and subject to system synergy. I currently prefer Roon Ready but I’d suggest to just try it for yourself and use whichever sounds best to you. There are two sets of USB outputs on the back and although the website states that “each of the four ports is independently derived so they do not interfere with each other, and each of them receives exactly the same quality of the digital audio signal”, the manual states that the 2.0 outputs lead to the best audio quality. Antipodes also state that one or the other may sound better, depending on the combination. I just tried it for myself and found notable differences. All the outputs sound solid and powerful but I found that the two blue connectors sound less a bit congested and spatially restrained while the two ports in the round connector labeled “USB Audio 2.0” of which I used the top one with 5v power, sound most airy, spacious and free-flowing while maintaining pacing and articulation. I prefer the latter and would encourage the user to just try it and stick with whatever sounds best. The phase of the power plug turned out to make a marked difference too: one way around the EX sounded tighter, cleaner and more direct (but less relaxed) and the other way around the EX sounded more sonorous and timbrally richer (and more relaxed). This is another thing to just try for yourself. 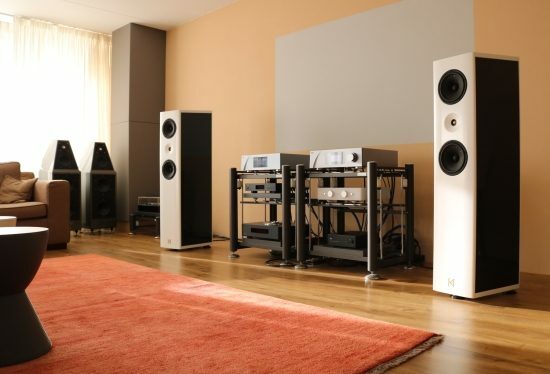 The main speakers used for this review are the Wilson Watt/Puppy 8. 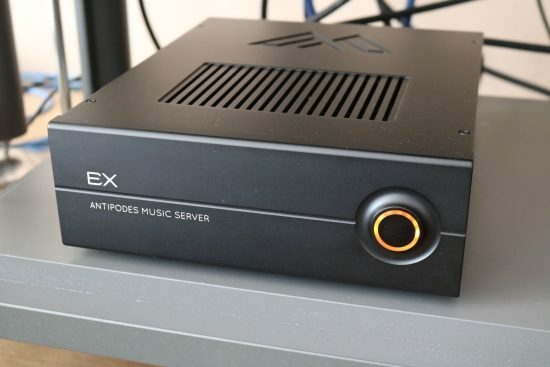 Starting with a USB connection, like the other Antipodes machines, the EX already sounds truly great even when used only as a Roon endpoint streaming from my regular Windows PC running the Roon Core application in the other room and it only gets better when using the EX as an integrated server. After having been stunned by the DX in terms of bass definition and overall impact, I was hoping to hear the same attributes in the new EX and indeed I did but now more balanced and with further enhanced refinement and fluidity. I don’t have the earlier servers at hand to compare directly but I can say with confidence that the EX surpasses the DS comfortably. It has all the more affordable server’s articulate behavior and dynamic contrast yet none of its dryness and with a much fuller tonality. In fact, I’d say that the EX is easily as dynamic and lively and at the very least comes very close to the DX in terms of bass power, texture richness and color saturation. In addition to the above qualities, there is simply zero hash, zip, zing or other forms of harshness or brightness. More importantly, the EX is as finely resolved as the best servers and endpoints that I have heard. More specifically, it’s every bit as refined, focused and “hi-res” in presentation as the Aurender N10 was, but with a fuller, tonally richer and more clearly textured sound and a superbly lyrical behavior. The new sound is technically sublime yet also fully organic – a very difficult combination to achieve. I also used the EX as the main source for my review of the Zanden 8120 amp and Kroma Audio Carmen speakers. The EX is on the right bottom shelf. 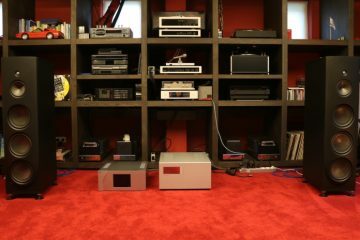 When speaking with Antipodes CEO Mark Jenkins about this change in sound, he informed me that with the early models they tended to concentrate a lot on tonality and organic heft, alongside resolution and other audiophile parameters, but they realized that it is more important to focus on the emotion. This led to experiments to see what is typically robbing digital of its ability to convey the emotion in the music, particularly compared to high-quality vinyl front ends. They found that the most important thing to do was remove all filtering and allow very wide bandwidth, and that led to the DS and DX models that I reviewed earlier. 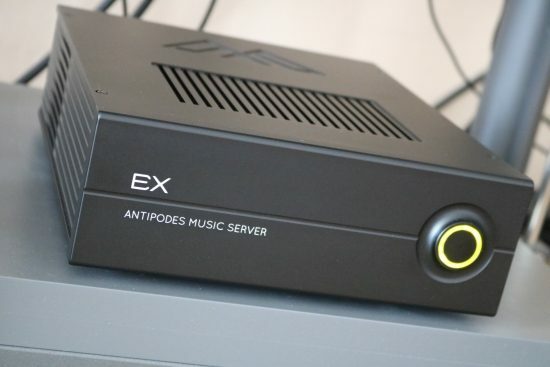 These Antipodes servers had real musical life, but to some listeners and in some systems they could be a touch thin (DS) or a little rough (DX2). This quality may work in some systems but not so much in others, but it evidently worked very well in my then Apogee Diva + Jeff Rowland system. With the new DX3, EX, and CX, Antipodes significantly improved the signal handling and power supply technology, looking for that perfect balance of sound that is fast and clean and at the same time relaxed. The ability to convey the emotion in the music is the top priority, and this was certainly evident from my listening tests. The EX also has an analog audio output. 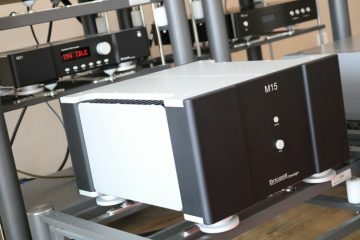 As the website states, this was not an attempt to include a high-quality DAC but an inexpensive way to reveal the benefits of getting the digital part right. The analog outputs sound fine, actually. Not hugely revealing and not incredibly expressive but otherwise pretty good. I’d say that it’s on par with a mid-class CD player. Not having the CX at hand just yet, I don’t have full options for assessing the direct ethernet connection, but fortunately, I also have a CH Precision C1 DAC at hand, which contains a UPnP input, as well as a USB input. The USB cables used for this review are the Curious Cable USB and Computer Audio Design USB 1. The Melco N1A/2 admittedly doesn’t sound its best when used via USB and indeed it sounds quite a bit thinner and tonally less rich into the C1’s USB input than the Antipodes EX. 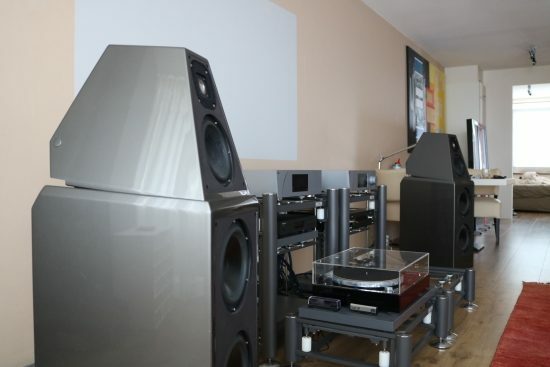 The more expensive Melco N1ZH/2 connected via USB sounds a lot fuller in the bass than its more affordable brother and is richer in the midrange, with increased focus and spaciousness but still, it sounds a bit stale compared to the EX. 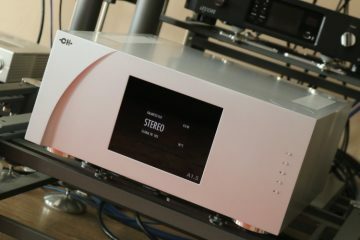 Granted, the Melco’s only come into their own when streaming via a UPnP network connection to a network-capable DAC. This way, both servers actually sound very organic and free-flowing. 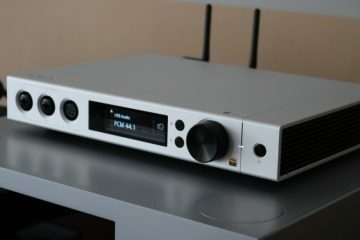 The N1ZH is my reference for best sound when combined with the CH Precision C1 DAC and playing via the dedicated ethernet connection. 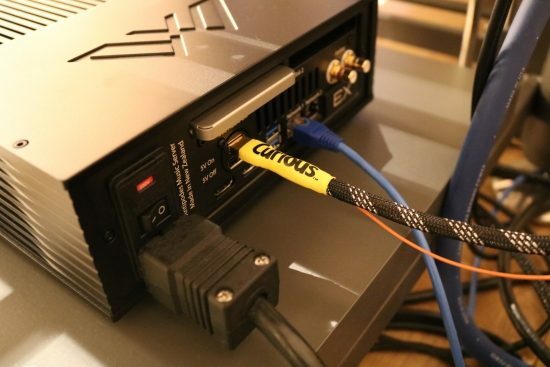 I’ve conducted several direct comparisons using both the Melco and the Antipodes servers in parallel, feeding the C1 via network and USB respectively and I have to say that the difference is very small, very small indeed. The tonal balance, the refinement, texture, and richness are all the same, as are PRaT, speed, and dynamics. The only area in which the Melco still differentiates itself is in terms of free-flowing soundstaging. In some systems, this can make the difference that makes for the elusive suspension of disbelief, in other systems, the difference may not be all that relevant. My current system, using the CH Precision A1 amp and Wilson speakers, falls in the former category. 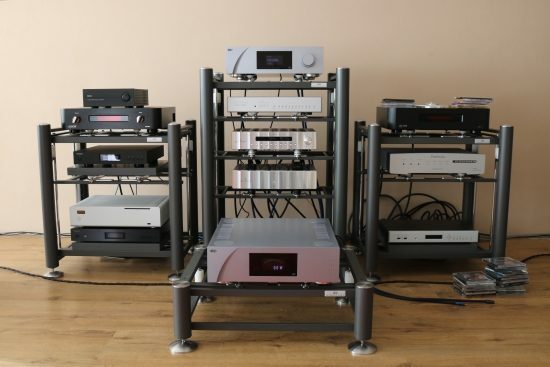 Used with the Aqua Formula xHD DAC, via USB, into the Jeff Rowland Corus preamp, bypassing the C1, the Antipodes EX presented the music with a very even balance between weight/full tonality and transparency/neutrality. Either of the Melcos, by comparison, sounded a little dry and just a little too clean with the Aqua, especially in the bass and midrange. Clearly, the EX combines very well with the Aqua DAC. As Roon does not support UPnP and the CH Precision C1 does not support Roon, my only option to allow comparisons between USB and direct ethernet connection with these components was to use UPnP. This would turn out to be a very interesting comparison. USB provided the familiar balance of tight control, high transparency, and excellent low-level detail. Used this way, the presentation is familiar but still smoother, richer and more refined than most other servers or streaming endpoints that were used with the C1 via USB. The C1 adds another perspective by offering the choice between USB Class 1 and Class 2. Class 1 is limited to 96kHz but sounds very noticeably tighter and more articulate. Class 2 sound freer, smoother and more fluid, but is also slower in pace and a little blurry in the bass. I preferred Class 1. When switching to direct ethernet, an interesting thing happens: the sound becomes seemingly more coherent and at the same time more free-flowing. It’s difficult to put into effectively descriptive words, but probably best described as being subjectively more involving, letting the music speak for itself more freely. Going back to USB now made for a comparatively more restrained sound, as if the signal was somehow more processed. Listen longer, though, and you get used to the USB signature again. As always, your mileage may vary, but I find it very useful to have the option to choose between these two connection methods. As Antipodes also indicates on the website, the end result is dependent on the implementation and I would add to this that user preference and system synergy also play a role. When the CX arrives, this will no doubt make for other interesting results and potentially even more options for tuning the sound precisely as preferred. I, for one, can’t wait! The Antipodes EX has a powerful, dynamic delivery with full tonality and very realistic textures. In addition, it has a smooth and refined delivery, with zero hash, zip, zing or other forms of harshness or brightness. In fact, the EX is probably as dynamic as the DX2 and at the same time as finely resolved as the very best servers and endpoints that I have heard. More specifically, it’s every bit as refined, focused and “hi-res” in presentation as the Aurender N10 was, but with a fuller, tonally more textured sound. It has great PRaT but also lets the music breathe and flow freely and it has superb lyrical capabilities. 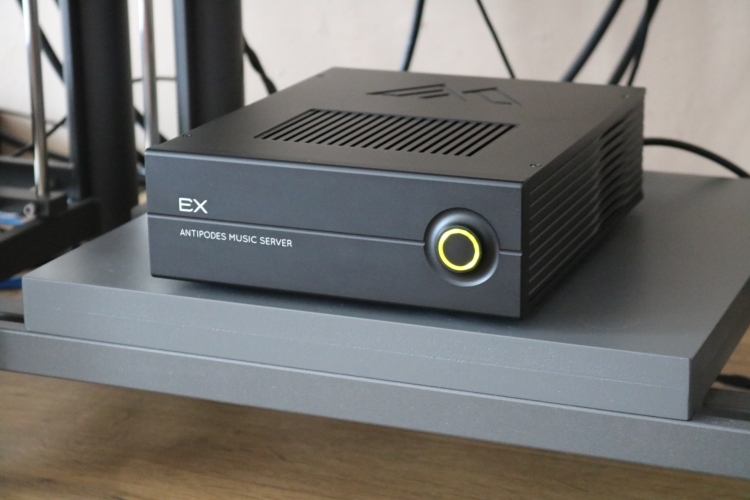 Technically immaculate as well as emotionally highly involving, the Antipodes EX is my current reference for Roon playback. wow! 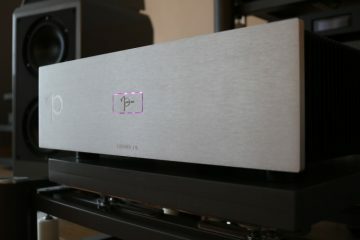 so If I read the subtext, the SQ is far better in texture and definition than the Melco N1a or the Aurender N100H making it the king of the hill for now… Experiencing the two latter units in a controlled enviorment with the same source materials, I found the N1a to be balanced but somewhat dull whereas the N100H was full of life to the point where I’ve actually looked at a speaker when I heard a sound that I hadn’t heard before. Used Miles Davis’ “Kind of Blue” as my baseline so I’m highly interested in what others think. There is no doubt that some people will prefer one and others the other. But this is a relative matter, dependent on personal preference (do you prefer texture or transparency), DAC pairing and which output is used. For example, in my setup, I prefer the N1A via Ethernet to the EX via USB. When both using USB, I do indeed prefer the EX. 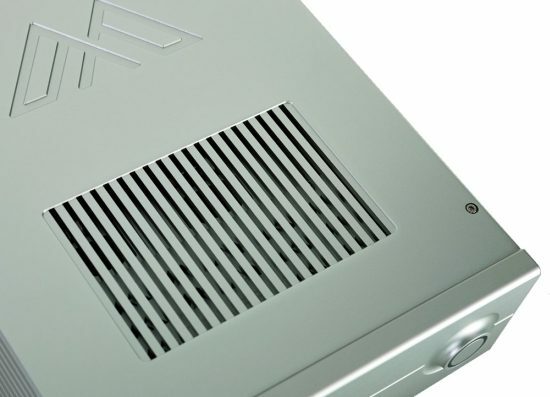 The N1A is best thought of as a really excellent NAS, with a USB output thrown in as a bonus. Its bigger brother N1ZH, however, is really great with both outputs, in my opinion surpassing the Aurender using either output, also in terms of life and expression. Because of its expressiveness, neutrality, and accuracy, this is my current reference. I’ve not tried the N100H but having had the S10 and N10, I would not put Antipodes and Aurender in the same camp. They’re just very different in presentation. The EX and N10 are similar in low-level resolution and refinement but then the similarities end. All Antipodes servers I tried are more lively and expressive, bolder if you will. Older generation Antipodes servers don’t have the ultimate refinement that Aurender has, but the EX does and adds richness, color, and substance. And it is Roon-Ready, which is not an option with Melco. And the EX certainly is the best Roon-Ready server that I used so far. Kudos on a very thoughtful review. I’ve followed your writing for several years and commend you on your substance and style. I’m considering buying an Antipodes EX (or CX) to replace an aging Meridian MC200. 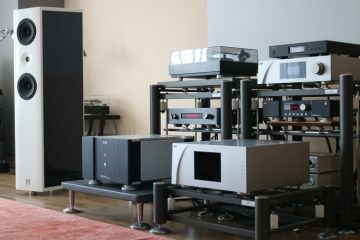 Do you feel the current Antipodes products offer significant sonic upgrades over the legacy Meridian Sooloos products? 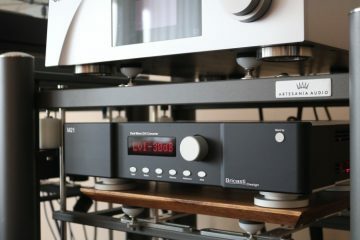 I run the digital output from the MC200 into a Bel Canto DAC 3.7 and plan on doing the same with either Antipodes unit. Any advice, guidance or suggestions are welcomed. Hi Edward, MC200 has solid, sonorous and non-synthetic sound but strangely I always found it lacking in refinement and air. In my opinion, any of the Antipodes servers/endpoints is an improvement over the MC200, and adds Sooloos as well as Roon support. In other words, you could still use your MC200 as a Roon endpoint together with a Roon server (which could be your regular PC or Mac). 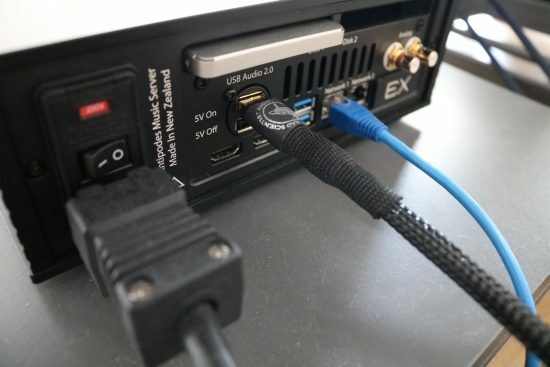 Do note that the EX does not offer a coaxial output so you’d have to resort to using a USB-SPDIF converter (not really recommended), or go for another Antipodes model that does offer SPDIF coaxial out. I will check out mControl and 8Player Pro. Thank you for your courteous reply. I hadn’t thought about keeping the MC200 and using it in my system in conjunction with either the Antipodes CX or EX. I understand the Antipodes products support Roon but I’m not clear on your suggested use of my legacy MC200 in such a configuration. For example are you suggesting I employ either a CX/EX as the Roon server and the MC200 as the endpoint? I just purchased a used Bel Canto REFlink USB>>SPDIF converter to allow me to take the USB output of either a CX or EX and connect that into my Bel Canto DAC 3.7. Hi Edward, while I regard Antipodes servers to be better than the MC200, indeed you could employ the MC200 as an extra endpoint in a Roon setup, because Roon is compatible with Meridian Sooloos devices. For example, Roon works impressively well with the Meridian 800 series components, even allowing the front panel transport controls to work. 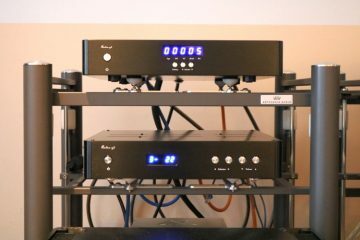 Also see my 818 and Ultra DAC reviews on this site. Hi Christiaan, awesome review!! It was thorough of you to go through and review each output of the Antipodes going to the DAC. Christian Aneli from “Aqua” says that to get the the best possible sound from their DACs, use the I2s. I actually have an almost similar setup. 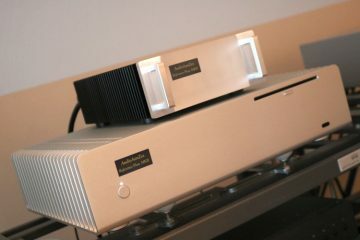 I own an Antipodes EX, and currently demoing an Aqua La Scala Optologic DAC. However I can’t get the direct ethernet to work. 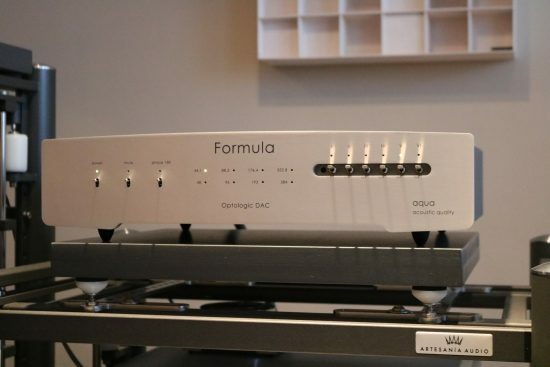 Did you use the “network 2” from Antipodes going to the Aqua Formula DAC? Did you have to change some settings in Antipodes GUI or Roon? Please note that even though both components have Ethernet connectors, the EX does not have I2S and the Aqua does not have a network input. The EX has an Ethernet connector which provides an actual ethernet connection while the Aqua allows only a proprietary I2S connection using its Ethernet connector, so these two components are not compatible. That said, while I2S is indeed technically the best format and it usually provides the cleanest sound and the most distinct front to back soundstage layering, not everybody prefers this tighter and cleaner sound over the usually fuller sounding AES and Coaxial formats. So, this is also a matter of taste. I used the EX via USB with the Aqua which resulted in excellent sound. I did use the EX’s network connection with the CH Precision C1 DAC/Endpoint. Thank you for your prompt and detailed response. This really enlightened me. Tony (awesome support from Antipodes) also said the same thing. I was really excited about how the I2s would sound like but unfortunately the streamer isn’t designed for it. I really appreciate your input Christiaan. Thanks. ? 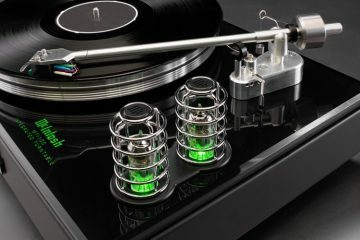 Again thanks for the great work in helping us audiophiles. Hi Karthik, as a server only, I would not recommend the EX. It does this task well enough but its main strength is as a renderer, which you already have and don’t wish to replace. 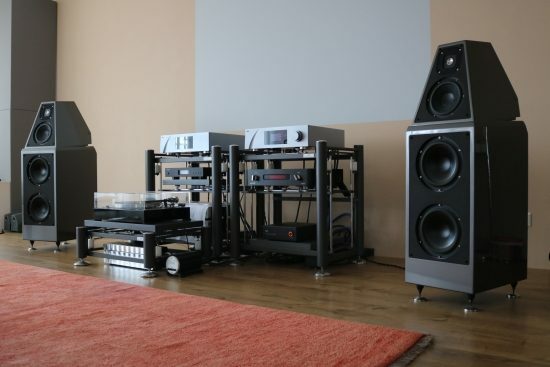 That leaves the CX and the Melco and that is a tough call, dependent on the server/remote control software that you’d like to use, your future plans for this and your personal taste in sound. With the Melco, you are locked into UPnP control and it will never support Roon. But what it does, it does brilliantly. It sounds fantastic and operation is slick and solid. If you are ok with using Bubble UPnP or the Linn app and only ever plan to use the device as a pure server with its Ethernet output, then the N1ZH is the obvious choice. If maybe you would like to use Roon in the future then the CX is the more obvious choice because it runs UPnP server software and also offers a host of other functionality. The other advantage of the CX over the Melco is that it is very fast and apart from enabling Roon and all its DSP functionality you will probably also notice this when browsing large archives at times where the tablet is requesting non-cached data from the server. Under normal circumstances, however, the Melco certainly feels fast enough. Alas, I have not yet compared the sound quality of the CX to the N1ZH as a pure server into the CH Precision C1’s ethernet input and so I have no idea how the two compare in that regard. I suspect that they might be close in overall quality but still have different characters. Hope this helps.